Though disability scholarship has been robust in history, philosophy, English, and sociology for decades, political theory and political science more generally have been slow to catch up. This groundbreaking volume presents the first full-length book on political theory approaches to disability issues. Barbara Arneil and Nancy J. Hirschmann bring together some of the leading scholars in political theory to provide a historical analysis of disability through the works of canonical figures, ranging from Hobbes and Locke to Kant, Rawls and Arendt, as well as an analysis of disability in contemporary political theory, examining key concepts, such as freedom, power and justice. Disability and Political Theory introduces a new disciplinary framework to disability studies, and provides a comprehensive introduction to a new topic of political theory. 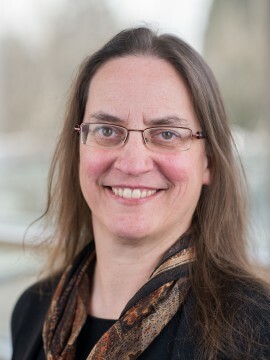 Barbara Arneil is Professor and Head of the Department of Political Science at the University of British Columbia. She is the author of John Locke and America (Oxford University Press, 1996), Feminism and Politics, (Oxford Blackwell, 1999, translated into Chinese and published by Oriental Press, 2005), Diverse Communities: The Problem with Social Capital (Cambridge University Press, 2006), and has published a co-edited anthology entitled Sexual Justice/Cultural Justice (Routledge, 2006). She has been awarded the Harrison Prize (UK Political Studies Association award for best article published in Political Studies), Rockefeller Foundation Residential Fellowship in Bellagio Italy, shortlisted for the C.B. MacPherson Prize (Canadian Political Science Association award for best book published in political theory), UBC Peter Wall Early Career Scholarship, and the UBC Killam Research Prize.